The only major difference is that I stamped my clouds right on the background using cloud stamps from the Whooo Loves You - Valentine's - set. 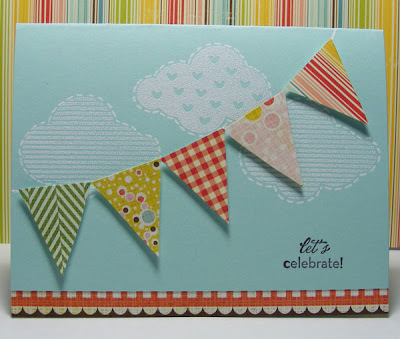 Ingredients: Stamps: Whoo Loves You by Hampton Arts; On Your Birthday by SU! for greeting. Ink: Versamark; Chocolate Chip by SU!